Printed advantages 1.Gravure printing up to 9 colors. 2.Glossy or Matte finish combined printing is available. 3.Template can be supplied for reference. Additional service Professional guidance in material or design adjustment which help you get the most ideal cost effective solution. Whole bean coffee is a product which is considered to be a delicacy by many and thus it is a valued product. People who enjoy preparing their coffee from whole bean look at coffee as an experience and not just as a beverage. 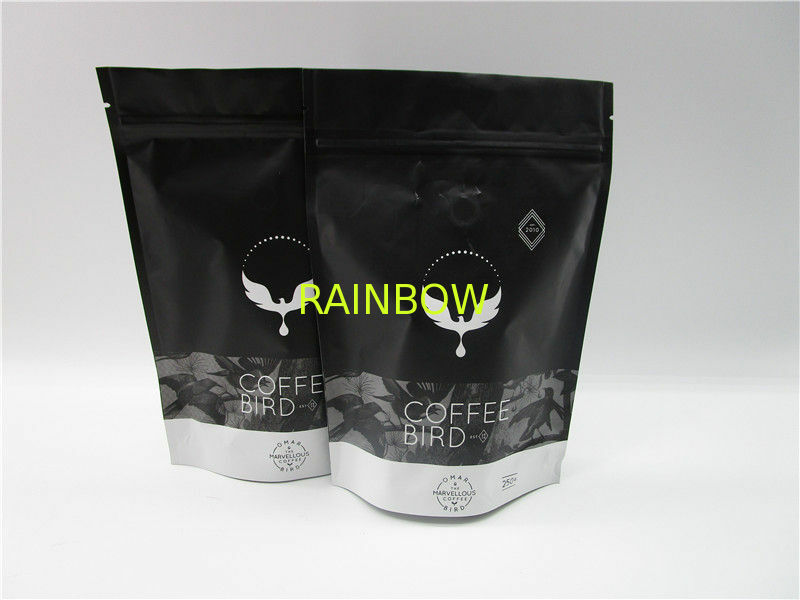 It is for such consumers that we at Stand Up Pouches have developed our own line of stand-up bags which can be used to package these whole beans, to make the whole process of coffee making enjoyable. 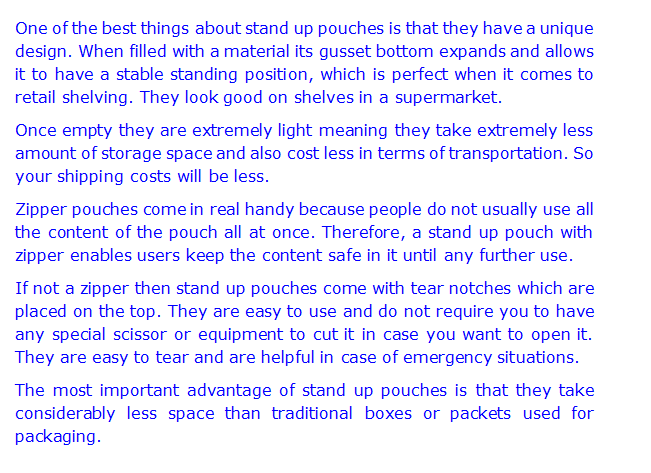 Our stand-up pouches can also be custom-made for companies by giving printed stand up bags which would become a company’s identity in the market.